Warner Edwards’ first batch of gin was produced in a 200-year old Northamptonshire barn in 2012. Named after its village location, Harrington, the bold, blue-bottled booze has been steadily building a reputation as one of the country’s finest. It’s a smooth sipper, with a delicate bouquet and a good juniper presence, which is enlivened with a touch of warming spice. 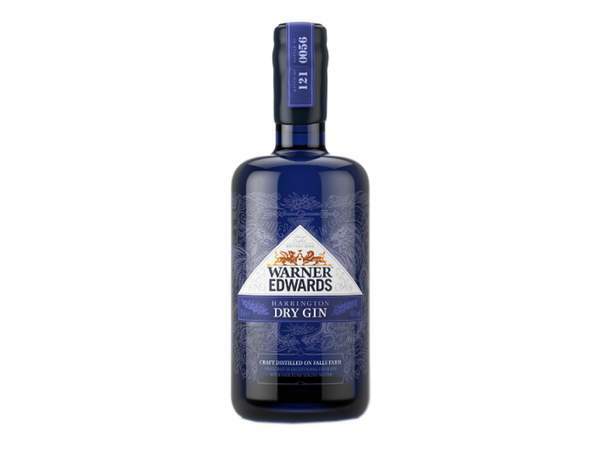 Warner Edwards’ spirit range includes gins flavoured with elderflower and lemon balm, but it’s this London dry that that we rate as a contemporary English classic.